Is Poland exploiting big power competition in Central and Eastern Europe? Central and Eastern Europe (CEE) has always been the stage for great powers to compete. British geographer Halford John Mackinder once said, "Who rules East Europe commands the Heartland; who rules the Heartland commands the World Island; who rules the World Island commands the world." Since the "16+1" format between China and 16 CEE countries started in 2012, CEE has become the focus of great powers. Western European nations are critical and skeptical of "16+1" cooperation and consider it an organization that promotes "divide and rule" and threatens European unity. Recently, Poland arrested a Chinese suspected of spying, which may be significant in the interaction between great powers and CEE. This year marks the 30th anniversary of Poland's economic and social transformation and the end of socialist rule in Europe. It is also the 70th anniversary of the establishment of diplomatic ties between China and Poland. Furthermore, the US will hold International Middle East summit in Poland on February 13 and 14, which will focus on Iran. CEE has come to be the region of competition and cooperation among great powers again. Poland joined the EU in 2004 and expects to become a major power in Europe, but is still a moderate power. Influenced by Germany and Russia, Poland seems to seek a balanced diplomatic strategy. According to Polish Foreign Policy Strategy for 2017-2021, its priorities are security, economic growth and creating a high standing. When explaining Poland's foreign policy tasks in 2018, Foreign Minister Jacek Czaputowicz said the US is Poland's main ally. Poland's ruling Law and Justice Party tends to be pro-US, emphasizing relations with CEE and its independence inside the EU. National security is one of the priorities of the Polish government. Considering the EU's security weakness, Poland strives to be a reliable partner in safeguarding the transatlantic security order, which provides anchor to Poland's foreign policy. Since the introduction of 16+1 format cooperation, the importance Poland plays in China's diplomacy has been increasing. Poland tried to play the leading role in 16+1 cooperation, but withdrew its interests after the platform didn't meet its expectation. However, it is still developing diplomatic relations with China by participating in 16+1 cooperation and the Belt and Road initiative. Foreign Minister Czaputowicz said in his speech, "Our principle partner in Asia is the People's Republic of China" and "narrowing our deep trade deficit will be a challenge in our cooperation with China." It means the key to Poland's diplomacy is not China, but security and transatlantic relations. The Trump administration's National Security Strategy said, "great power competition returned." The core US diplomatic task is to cope with such competition. 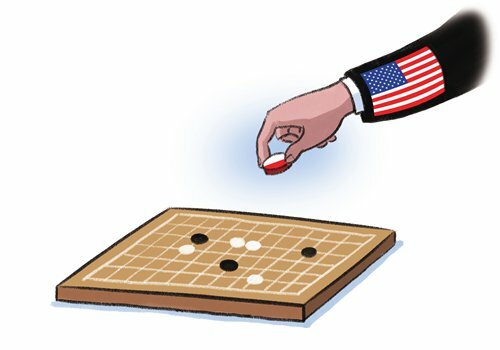 The US needs to rebalance its ties with its allies and seek changes in international organizations which cannot meet strategic reality. On October 18, 2018, US Assistant Secretary of State Aaron Wess Mitchell delivered a speech, "Winning the Competition for Influence in Central and Eastern Europe." He said, "For the first time in history, China has become a major player in Central and Eastern Europe" and "we will double the existing portfolio capacity of OPIC (Overseas Private Investment Corporation) from $29 billion to $60 billion, allowing America to go toe-to-toe with major rivals in vulnerable regions like Central and Eastern Europe." In September 2018, when Polish President Andrzej Duda visited the US, he and President Trump agreed on "recognizing that the international order is being challenged, the time is now for our nations to become stronger and more enduring strategic partners" and to safeguard "freedom, building prosperity through US-Poland strategic Partnership." When Trump visited Poland in 2017, he said, "Our strong alliance with Poland and NATO remains a key element in the avoidance of conflict." Even during the administration of George W. Bush, special relations existed between the US and Poland. Poland's involvement in the 2003 Iraq War is an example. A survey by the Pew Research Center released in October 2018 showed 41 percent Polish regard the US as a leading economic power, and 30 percent for China. Percentage of Polish who prefer the US to lead the world was 68 percent, but the figure for China was only 6 percent. Poland is one of the most stable allies of the US in Europe and its pro-US tradition endures.